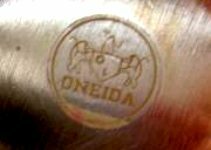 FLATWARE PATTERNS GORHAM HOLMES & EDWARDS INTERNATIONAL SILVER CO KIRK STIEFF CORPORATION ONEIDA SILVERSMITHS REED & BARTON 1847 ROGERS BROS TOWLE MFG CO WALLACE SILVERSMITHS INC.
Tableware manufacture began in 1877. 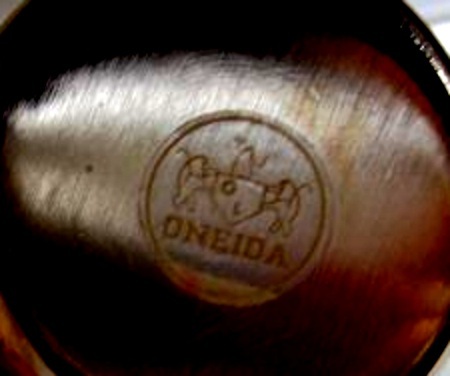 Incorporated in New York in 1880 under the name Oneida Community Limited. Moved to Niagara Falls in 1880. 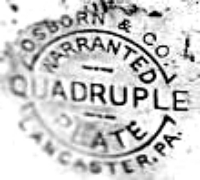 Moved to Sherrill in 1912-1914. 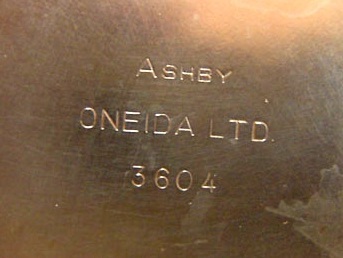 Name changed to Oneida Ltd in 1935.
a trade mark of W.A. Rogers Ltd.
Common base metals include copper, brass, nickel silver - an alloy of copper, zinc and nickel - and Britannia metal-a tin alloy with 5-10% antimony. Electroplated materials are often stamped EPNS for electroplated nickel or silver, or EPBM for electroplated Britannia metal. Sheffield plate by the fusion process was not made in America, but factories here did turn out quantities of electroplated silver. In fact, it was so popular that one English firm with several variations of its name, but all including Dixon, sold quantities of electroplated silver, issued catalogues, and even had a New York showroom. 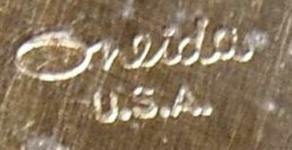 Today there is a great deal of American plated silver which has been treasured for years. 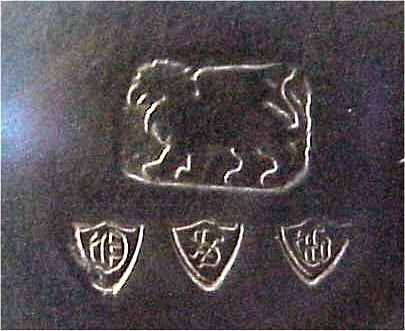 Many families had plated silver as well as fine sterling. Some of it was inherited; some prized for sentimental reasons. If you have this plated ware, and it is as dear to you as fine early silver, then you are among the happy people of this world. 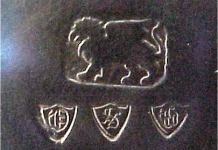 On plated silver the terms 'triple' and 'quadruple' indicate the number of coatings received by the base metal in the electroplating process. Naturally the more metal used in the plating the longer the piece should last. 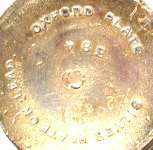 Polishing and wear have taken their toll of much of this plated ware and whether pieces are worth replating depends on their usefulness and your pleasure in them. If you like them well enough to spend money on them, then by all means have the work done, but remember a piece is worth at market value only the metal that is in it, the base metal under the plating being worth very little.